All awards selected by juror. Juror Information: Meher McArthur is an independent Asian art curator, author and educator. She worked for nine years as Curator of East Asian Art at Pacific Asia Museum, where she curated over 15 exhibitions. Recently, she has curated several exhibitions for Southern California galleries and for the traveling exhibition company International Arts & Artists (IA&A), including Folding Paper: The Infinite Possibilities of Origami (2012-2017), Above the Fold: New Expressions in Origami (2015-2019) and Nature, Tradition and Innovation: Contemporary Japanese Ceramics from the Collection of Gordon Brodfuehrer (2016-2019).  She is currently Creative Director for the Storrier Stearns Japanese Garden in Pasadena and Curator of the garden’s En Gallery. She writes regularly about Asian art and Southern California artists for KCET Artbound, Buddhist art and artists for Buddhistdoor.net and occasionally for Artillery Magazine and Orientations magazine. Her major publications include Gods and Goblins: Folk Paintings from Otsu (Pacific Asia Museum, 1999), Reading Buddhist Art: An Illustrated Guide to Buddhist Signs and Symbols (Thames & Hudson, 2002) and The Arts of Asia: Materials, Techniques, Styles (Thames & Hudson, 2005), Confucius: A Throneless King (Pegasus Books, 2011), Folding Paper: The Infinite Possibilities of Origami (IA&A, 2012) and New Expressions in Origami Art (Tuttle, 2017). Her children’s books are Michael and the Magical Museum (Pacific Asia Museum, 2003) and An ABC of What Art Can Be (The Getty Museum, 2010). Meher McArthur juried the 87th Annual in 2012.